The next day, the bread is full of moisture and flavor -- perfect with some fresh sweet cream butter! Are you ready to bake up a storm for graduation parties or other May events? 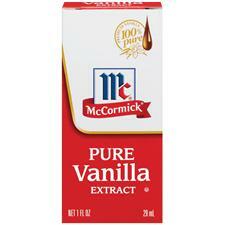 Be sure to check out McCormick's Pinterest Board for additional inspiration! 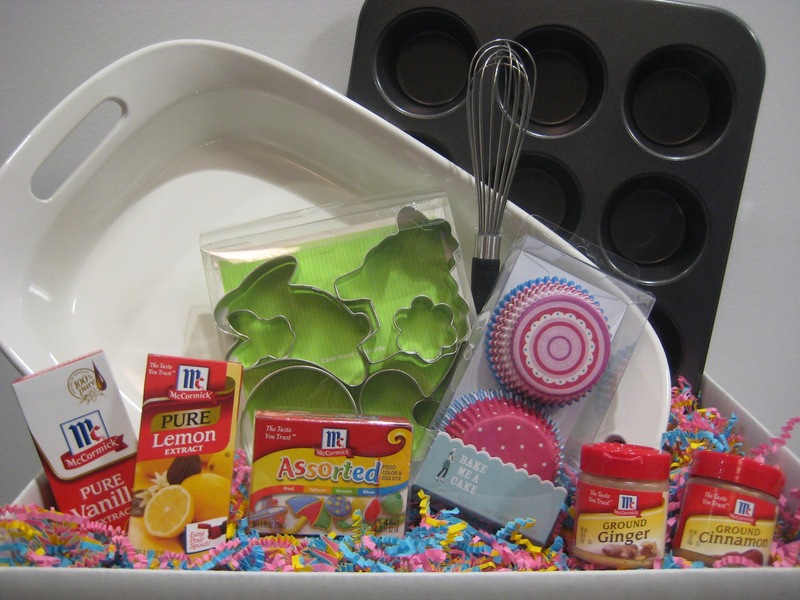 A muffin pan, glass baking dish, assorted baking accessories, and McCormick spices and extracts! To be entered to win, just comment on this post with a recipe idea you want to try this Spring or Summer! You have until May 15th at 11:59 pm CST to get your entries in. You may enter every day, and we will pick one winner at random from all eligible entries. (Please answer the question for the first comment entry. Each daily entry after that can be "enter me." ) This giveaway is open to U.S. residents ages 18+. See our full rules here. Don't forget to enter our other blog giveaways while you're here. *Sample received to review. Opinions are 100% my own. I planted a big garden this year, and I'm hoping to get a good batch of Zucchinis and Pumpkins to play around with and come up with some delicious creations! Pumpkin cheesecake and Zucchini brownies are on my list! I love lemon. I'd love to make lemon poppyseed breakfast muffins! I have a recipe for zucchini pineapple bread that I'd like to try. Thank you. I am going to make peppermint double chocolate brownies. Sounds yummy? - ha. i would love to make chocolate chip bannana bread. I want to try and make cupcakes with cream in the middle...I'm not very creative with baking so we'll see! I want to try a jello poke cake with whipped cream frosting. As of right now we don't even have a muffin pan and there are a bunch of muffin and cupcake recipes we've been wanting to try. Recently I have been seeing those rainbow cupcakes, look so good!! I really want to try making tye dye cupcakes and the tye dye frosting for my kids for a special "schools out" treat next month. I want to try doughnuts! I just saw a recipe for triple berry cheesecake muffins that caught my eye. I want to work on my breadmaking skills! I would like to try to make Rhubarb pie, and also enchiladas. I want to try making some snickerdoodle cupcakes with cinnamon buttercream frosting-yum! I want to make quiche! I'd love to make homemade blueberry muffins out of homegrowen blueberries. I want to make banana bread!!! Greatest food ever! I want to make homemade hot pockets....lots of them to stock the freezer! I want to try a recipe for Chocolate Chip, Oreo and Brownie Bars I found. My dad just gave my lots of bananas from his banana tree, so I think i will do chocolate chip banana bread. I'm hoping to make some bread pudding today. I'd love to try the Slow Cooked Italian Chicken with Noodles! I'd love to try making Italian Anise cookies. I have never made them before, and have had the recipe sitting in my folder forever. i think it's time to break it out! I add zucinni to everything: casseroles, vegi stir fries, meatloaf, etc. I want to make Bleu Cheese Hamburgers! My sister in law always emails my wife recipes. The latest one was for "Buttery soft rolls". My wife said she wants to make them this week. She doesn't usually have success with yeast based recipes, but I am willing to eat if if she is willing to bake it. I really have been wanting to try to decorate some fun cupcakes. "Have your Drink and Eat it, too" Maragarita cupcake with Tequila Salt Lime Frosting! I had one at a Birthday party last weekend and I have been dying to try to make it! I'd like to try a carrot cake. I'd love to make lemon cheesecake bars! Cinnamon sugar muffins. Yum. I printed and pinned but still haven't made them. I want to try grilling veggies. I've never tried ribs in the slow cooker so I will definitely try the Slow Cookers Southern BBQ Ribs recipe. I want to bake a pineapple upside down cake - It's been a long time since I made one and they are so good! I want to make a lot of things, but the first thing popping to mind is peanut butter oatmeal cookies. I'd like to try making rhubarb pie! Thanks! I'm planning to try grilled pizza this summer! I would love to try to bake zucchini bread. I would love to try some lemon muffins! new day - new "enter me"
I want to try red, white, and blue jello shots! I want to try zucchini bread! I want to try Strawberry Rhubarb Walnut Bread. I would like to make pickles. I have a bunch of cucumber plants in the garden this yr. I'd like to make an egg custard pie. With Pinterest, there are now MANY recipes I am excited to try for the summer. I am really digging the fun 4th of July themed things...one in particular is a fruit kabob collection with strawberries, bananas, and blueberries that create an American flag :) Thanks for a great giveaway! There is a recipe for eggplant pizza bites that I am eager to try! I saw a recipe for Spring Fruit Pizza I'd love to try! I want to make fruit leather. I saw a recipe for salted caramel cake that I'd like to try. I want to make a corn, tomato, and cheddar pie! THanks for the giveaway. I would love to try a recipe I found for Zucchini muffins, yummy! I would like to make red velvet cupcakes with cream cheese icing. I want to try making calzones. My husband loves them! cucumber and tomato salad. I have planted both in my garden this year and expect it to be a nice cool treat! I want to try to make a Taco Casserole! I want to make my daughter minnie mouse cupcakes decorated with little oreo cookies! She loves minnie mouse. I would love to try a cookie dough cheesecake! I'd love to make little fruit tarts with fresh berries! I want to try to make Vegan Key Lime Cupcakes for my Daughter's Birthday! love to try baking my own bread! I want to make some scones, love them, just haven't tried making our own. Oh, boy. I love banana bread, but it never comes out well no matter what recipe I try. I may give this a shot! This summer my goal is to make my own coconut-cream based ice cream. As a lactose-intolerant mama, I do feel left out giving the kiddos ice cream and having nothing for me, but I also feel so guilty spending up to $6 a pint for lactose-free, soy-free ice cream! I would love to try any one of the fun recipes on pinterest! I can't decide! But, I want to try new pasta salad variations this summer. I look forward of going to the garden or farmers market for fresh Zucchinis. I love making Zucchinni bread in the fall. My daughter wants to try a Jello poke cake recipe,I need to remember to pick up the ingredients!